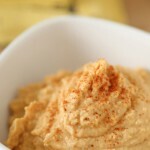 This is my favourite homemade hummus ever. It’s so easy to make and yet so much healthier for you than store-bought hummus, which is full of preservatives and inflammatory oils. This is the perfect dip for fresh veggies and homemade crackers and can be used as a base for creating fancier, more complex types of hummus. Drain and rinse chickpeas, retaining 1/4 c of the liquid from one can. 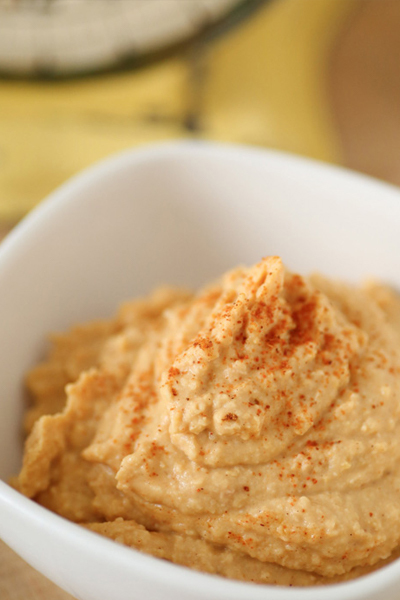 Blend together rinsed chickpeas and reserved liquid in a food processor until smooth. Store in the fridge in a glass container for up to one week.